Multi-user capabilities have long since been a feature sought by iOS users, and while this is not yet a possibility at stock level, the freedom offered by a jailbreak means that the boundaries imposed by Apple can virtually be diminished. A new tweak called GuestMode, while not able to facilitate multiple users in the purest sense, does offer a Windows / OS X-like guest feature that puts you in control, allowing you to share your device with others without having to worry about them snooping your files or accessing certain apps. 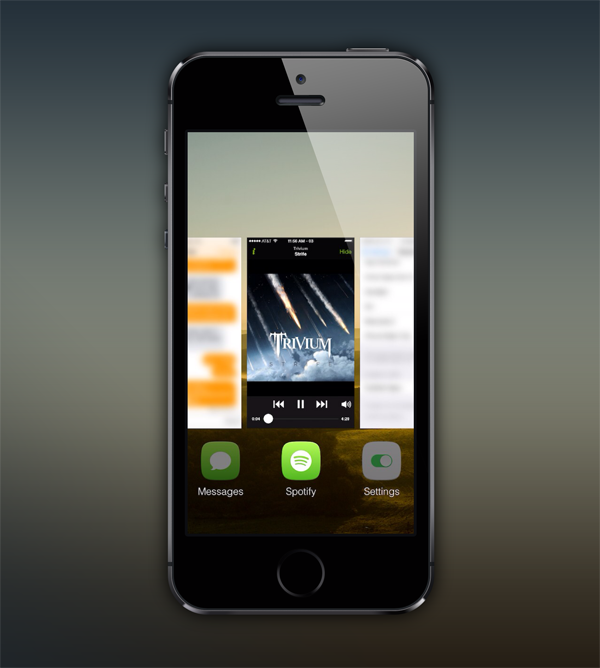 It’s actually a very well-thought out tweak, and for an initial release, packs many useful features. To all intents and purposes, GuestMode puts you in the role of Administrator, and allows you to customize the preferences of your limited, guest account to be used by others. Configurable within the Settings menu, you can tell GuestMode exactly which apps you’re happy for guests to see as well as those you’d like to keep obscured. Not only is this useful if you’re a private person, but this could also be of particular interest to parents who can use the tweak to let their kids enjoy a device without making potentially expensive calls, downloading pricey (and / or inappropriate) apps, or accessing harmful websites. The polished iOS experience is unaffected by guest mode, which can be activated using a number of different methods. 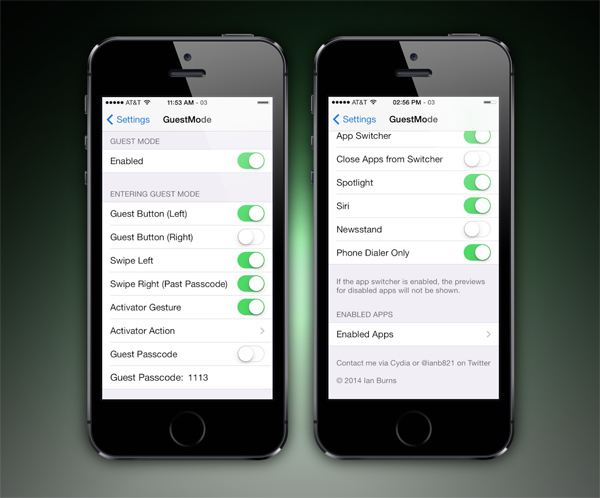 As per the settings you opt to apply, guest mode can be entered by swiping left on the lock screen, tapping the ‘Guest’ button on the lock screen, or even by using custom Activator gestures. If you like, you can even set a guest password, and for just 99 cents over at the BigBoss repository, this tweak offers extremely good value for money. Of all the tweaks we’ve featured since Evasi0n released, this one has us the most impressed, and if you’d like guest mode on your iOS device, go ahead and download it now!